When I ask planters in Darjeeling when they will begin the first pluckings of the year, they always gives roughly the same reply: around the time of the Holi Festival. Holi takes place in India every year at the beginning of spring. It’s the festival of colours. To celebrate, everyone arms themselves with plenty of coloured pigments and throws them in the faces of people around them. Throughout the day, they cover their laughing friends – and anyone else they come across – in a riot of colours. 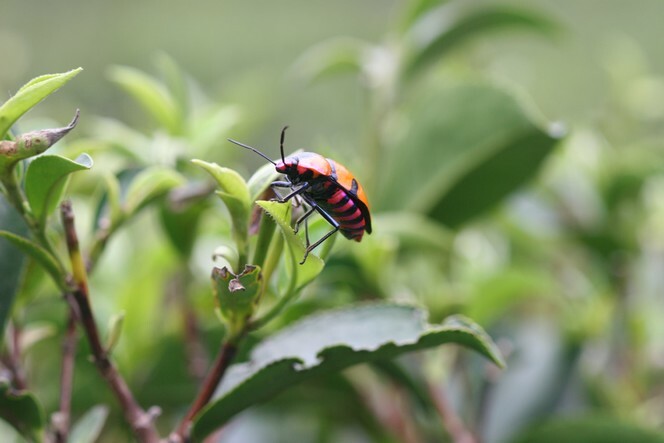 With its coat of bright pink and orange, this elegant creature climbing over a tea bud looks like it has been taking part in Holi. The tea harvest is surely about to start. I have chosen this photo of a lovely landscape, taken at Wasuka near Nara, to tell you that it would be a shame to miss out on the Japanese spring teas, the famous ichibancha, this year. 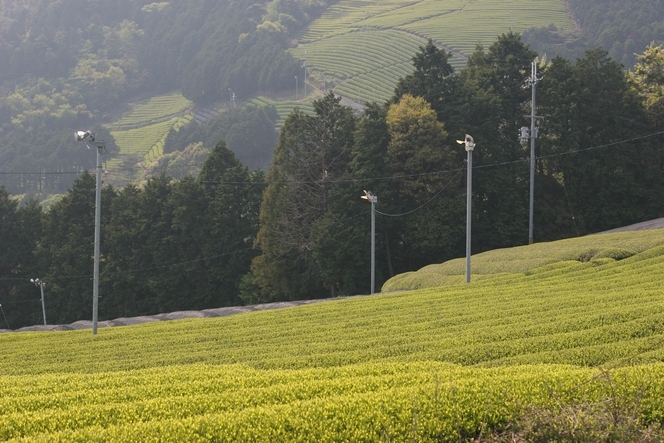 Le Palais des Thés has sent all batches of its Japanese tea to be analysed by a laboratory, which will check whether their radioactivity levels comply with European standards. Only once we have received the results can we start distributing the teas to our various stores. In the stores, you will be able to ask to see the laboratory test results for the tea you want. So you will be able to drink the best shinchas with complete peace of mind. Japanese farmers have suffered enormously this year due to the tsunami, and we must not abandon them, or their deliciously delicate teas! 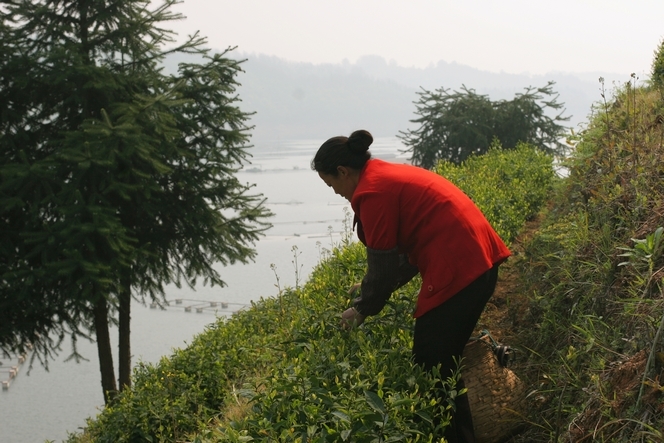 Some regions produce their best teas during the period from March to May. So this is a good time to meet the farmers and planters and see them at work. 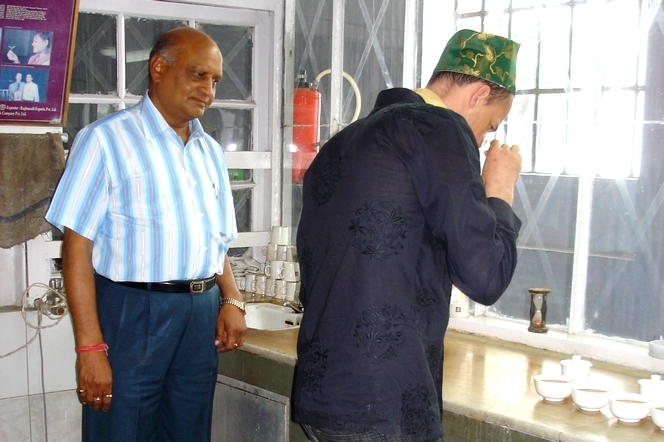 I have left China for Nepal, which has been producing excellent teas in the past few decades. While here, I am visiting tea plantations in Hile (Kuwapani, Guranse, Jun-Chiyabari) located in the district of Dhankuta in Eastern Nepal, the most prestigious in the country. 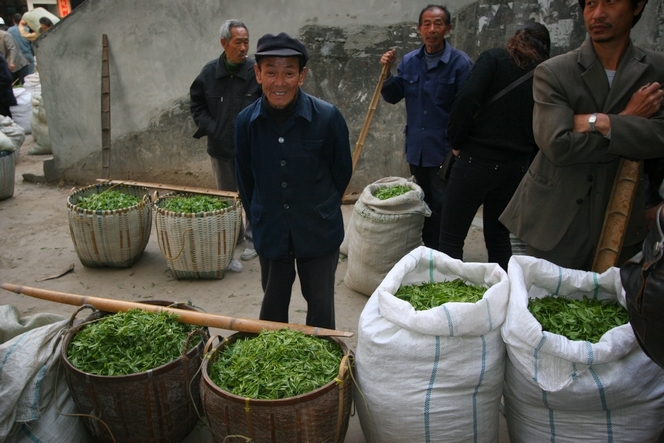 Taiping Hou Kui is harvested for just 25 days a year, generally between 20 April and 15 May. For the rest of the year the tea plant is allowed to grow without having its leaves plucked. This concentrates the harvest on the best season. Mrs Zha has a pretty plot of land on the edge of lake Taiping. She is very busy during this plucking period. Taiping Hou Kui is one of the most expensive teas in China, and its price can reach thousands of yuan per kilo. 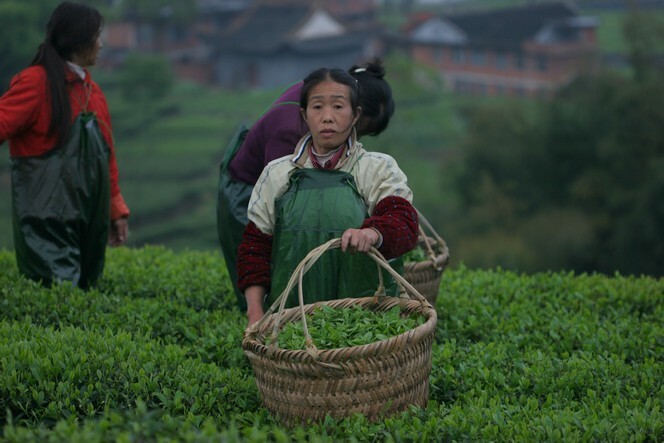 Here in China, the harvesting of premium teas is in full swing. Some farmers have their own buildings equipped with various machines for processing the tea. Others, like Mr Li, sell their freshly plucked leaves to bigger farmers who have the necessary facilities. Once harvested, tea spoils quickly. Here, at the Fuding tea market, Mr Li absolutely must find a buyer in the next two hours. With the quality of his leaves, he should have no difficulty, and he gives a big smile for the camera. Before leaving for China in search of different teas, I have spent most of the past few weeks tasting lots of samples of Darjeelings, receiving up to fifty in one day. Phuguri, Risheehat, Orange Valley, Gielle, Puttabong, Singbulli, Teesta Valley, North Tukvar, Longview, Thurbo: this year our selection reflects the work of many gardens and represents the best of their production. 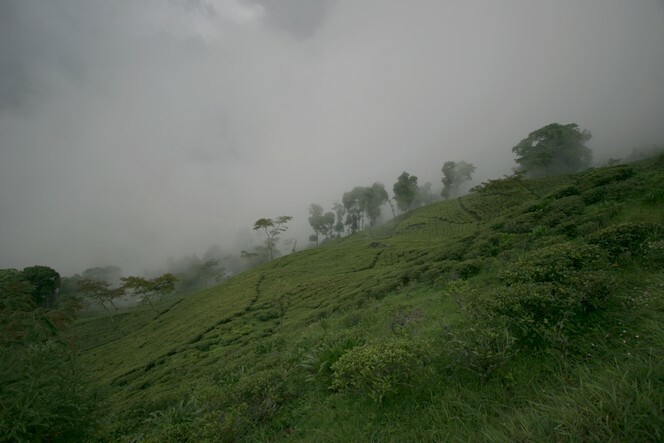 This is what the mountains look like where these teas grow, so that while you are enjoying them, you can transport yourself to the mountainside and feel the mists of the Himalayan foothills. In China, the first tea harvests of the year have begun, and today I am flying to Beijing, then to Huang Shan, the famous Yellow Mountains. The best pluckings of China green tea take place in April, and Anhui province alone boasts prestigious teas such as Tai Ping Hou Kui, Huang Shan Mao Feng, Huang Shan Mu Dan and Huang Hua Yun Jian, to name just a few. We have just received a new first flush Darjeeling ! We have just received a new first flush Darjeeling, Longview DJ1, the first lot of the year from the Longview Tea Estate. Because of its location, this garden fortunately avoided the road blocks recently put in place, which I told you about last time, and managed to get its tea to Kolkata. In the mouth, this tea develops planty, almondy notes. It has a fresh start, followed by delicate aromas of camphor. These smiling faces belong to pluckers who work at Longview, enjoying a well-earned break. The first Darjeeling flush is delayed for the third consecutive year. This time, the tea plantations suffer from drought: it hasn’t rained in Darjeeling since October 10th, 2009. Surprisingly, the sky is covered with clouds, the Kanchenjunga cannot even be seen. 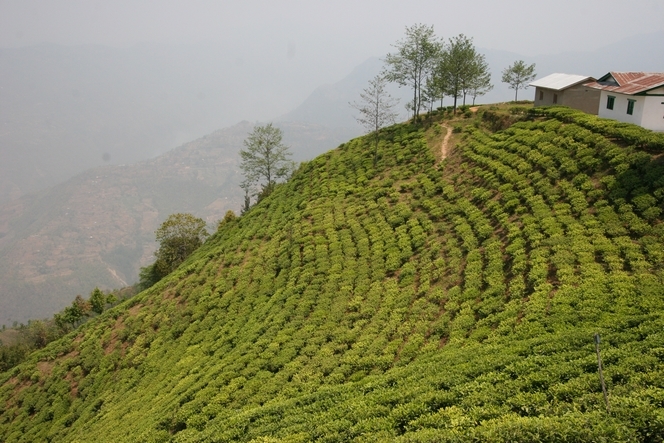 In the few irrigated plantations, the chill prevents the tea leaves from growing. Temperatures are still very low at night and I sleep with a hot-water bottle at the Planters Club! So far, most of the tea gardens have only had one harvest (DJ1). Normally, they should have harvested enough tea leaves to make around ten lots (DJ10). The first lot of Darjeeling harvest at North Tukvar has a floral bouquet of much greater quality than other plantations, even the best ones like Puttabong and Singbulli. I didn’t hesitate to buy this tea which is to arrive in Paris this week-end. It’s a clonal mixture of various cultivars. I don’t usually buy tea at the beginning of the harvest, but if it doesn’t rain in the next coming ten days, the amount available will be scarce. This year, it might be is very small in comparison with previous years. It doesn’t seem to particularly worry the responsible of Puttabong and North Tukvar, Mr Somani (on the photo), who told me with his Indian-like fatalism: “If there’s a storm tea will grow very fast, only gods know…”.